For a wholesome idea to pack for breakfast, lunch, or any time in between, this is the perfect portable way to pack your favorite yogurt parfait to go. 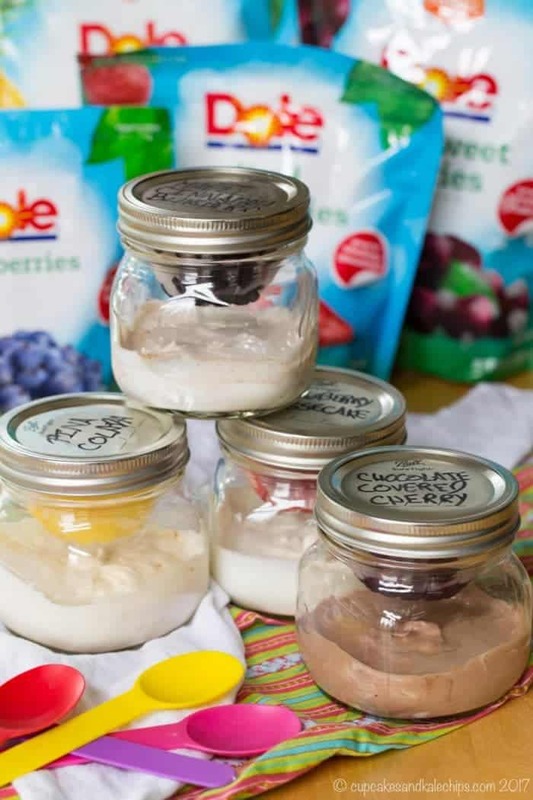 With a little mason jar trick using Dole Fruit Bowls and Frozen Fruit, here are four different fruit and yogurt snacks, each with only four ingredients. 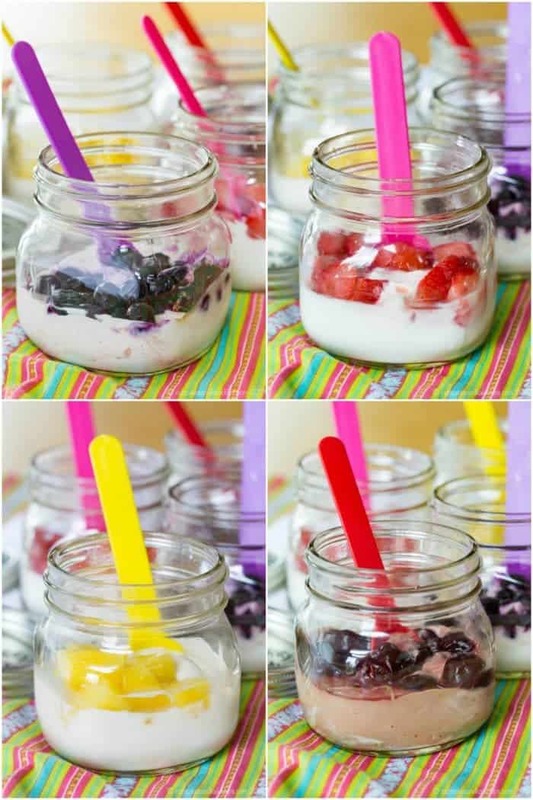 A fruit yogurt snack hack is the perfect portable way to pack your favorite yogurt parfait to go. 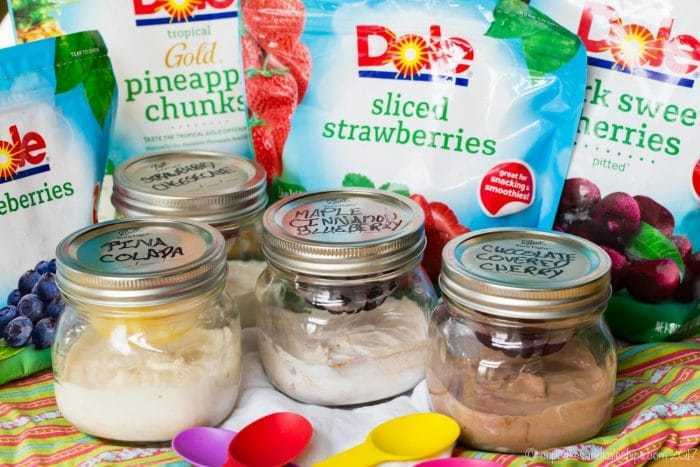 With a little mason jar trick using Dole Fruit Bowls and Frozen Fruit, here are four different fruit and yogurt snacks, each with only four ingredients. 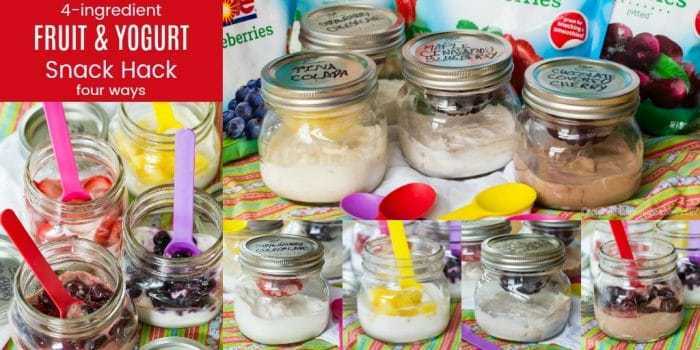 For a wholesome idea to pack for breakfast, lunch, or any time in between, you’ll love this 4-Ingredient Fruit Yogurt Snack Hack. And while all of the above is true at least some of the time, I’m also just your average, everyday busy mom with average, everyday kids. So just like the rest of you, I have to get the kids to and from two different schools, get them to after school activities, help with or at least check over the homework, lunches, dinners, laundry. You know how it is, so let’s keep it real. Sure, dinner gets on the table every night, and I do try to have it be a dinner that represents what one would consider a well-balanced meal. But sometimes protein comes in the form of a hot dog, and those bags of frozen veggies you can steam in the microwave are my best friend. 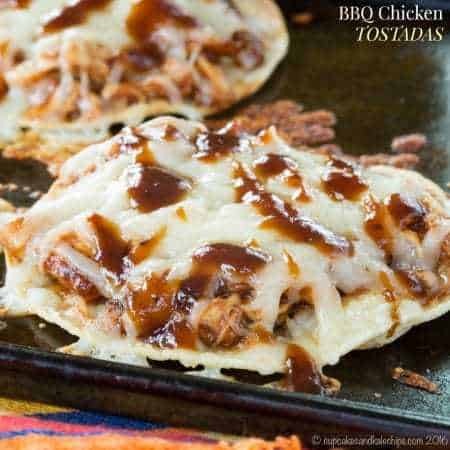 And you can bet one night of the week I’ll pull out all the random leftovers, heat them up, pile it all in bowls and on cutting boards with some slices of cheese, cut up veggies, and a quick batch of my favorite honey mustard dip, call it “family dinner” and let my kids think I am a culinary genius. And then let’s talk about the aforementioned average, everyday kids. Do you know what average, everyday kids do? Suddenly, out of nowhere, on a whim, the decide that something they used to love and eat regularly now is suddenly repulsive and they might die if it crosses their lips. Oh, and not only do their tastes change on a whim, but they basically want to eat all the time, until suddenly they don’t want to eat at all and they take their barely-touched previously-favorite food and dump it in the trash. I’m sorry, but that is only acceptable if you are pregnant. 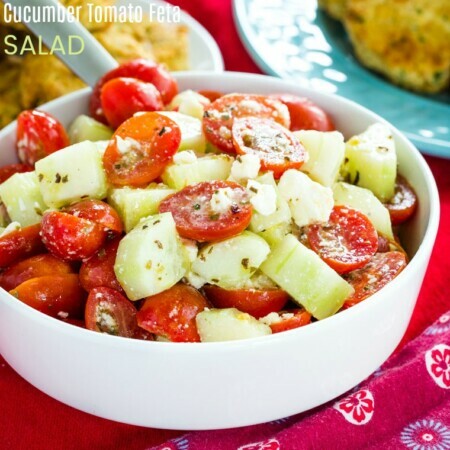 OK, so I am getting on my kids about their ever-evolving (sometimes devolving) tastebuds, but I am a creature of habit, and tend to stick to the same routine for my daily breakfast, lunch, and snacks, only switching up one or two things every few months. And some of the things I eat are just plain weird. Yeah, smoothies and salads and such, but I’ve been known to mix cottage cheese, honey, and cocoa powder to dip apple slices. Lately lunch has been lettuce wraps with turkey, mustard, and sauteed mushrooms. And then, since I basically would be happy to live on ice cream but know that’s not really the best choice for my longevity and overall well-being, I sweeten up some yogurt, add cocoa powder, and stir in frozen cherries to pretend I am eating chocolate cherry ice cream. With four flavor combos and a genius trick, keep your fridge stocked with this 4-Ingredient Fruit Yogurt Snack Hack! First, I let my kids snack on their favorite Cherry Mixed Fruit or Mandarin Oranges (one snack attack down), but instead of recycling I keep the plastic bowls. 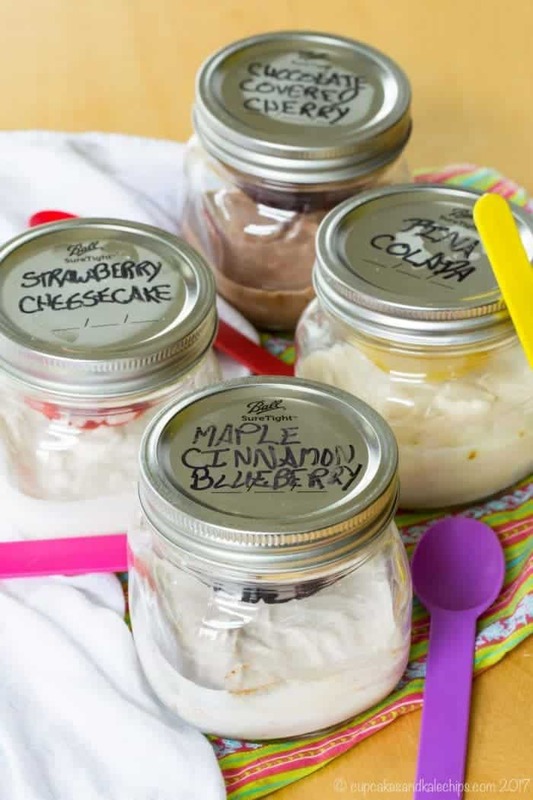 Then in the jars I make a simple mixture of plain Greek yogurt, a teaspoon or two of honey or maple syrup or another sweetener, and one other ingredient to add some flavor. Slip that plastic bowl you saved right into the opening of the jar and add about a half cup of Dole Frozen Fruit. 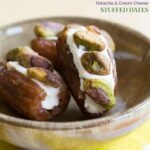 Screw on the top and pop them in the fridge until you are ready to snack! 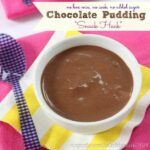 My friends have some super smart snack hacks too! 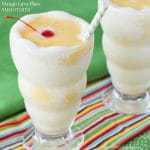 No need to visit a theme park when you can make Dole Whips at Home from Christy Jordan’s Southern Plate. Or for a little dessert hack, how about these Tropical Fruit Dessert Burritos from Princess Pinky Girl?! And if you’ve saved more of those Fruit Bowls, you’ll find some other creative ideas in these 10 Healthy Snacks to Prep in Advance from Bless this Mess Please. 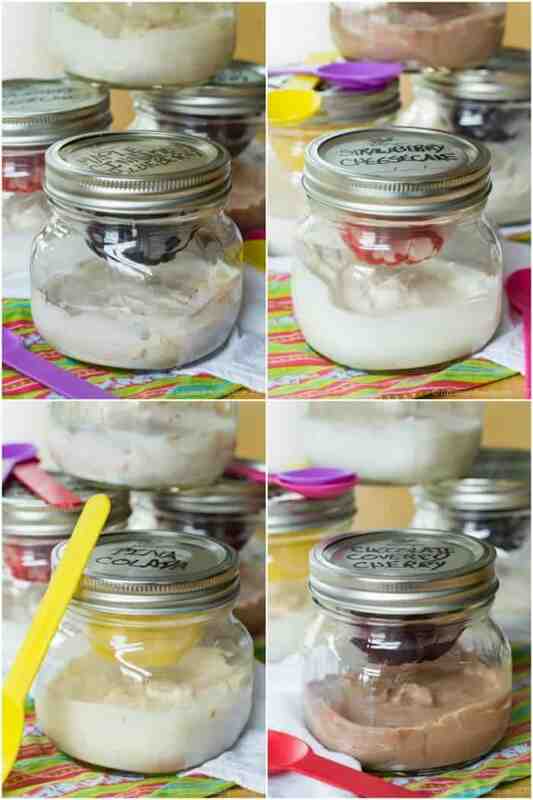 Which one of these 4-Ingredient Fruit Yogurt Snack Hack recipes do you want to try first? 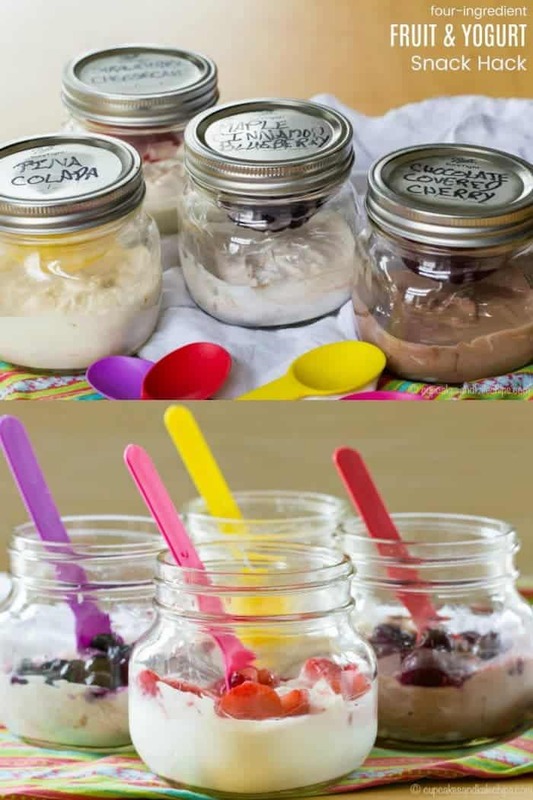 For each of the flavors, in a bowl or jar (wide mouth pint-sized jar), stir together the yogurt, sweetener (honey, maple syrup, coconut sugar, etc. ), and the third flavoring ingredient. 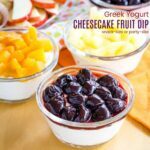 If serving immediately, all the fruit to thaw slightly and use it to top the yogurt. 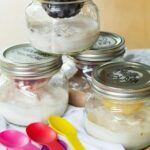 If storing in jars, place the fruit in reserved empty plastic bowls from Dole Fruit Bowls and slide onto the top of the jar. 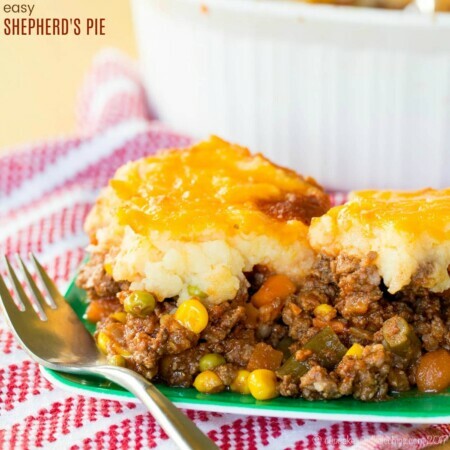 Screw on the top and keep in the refrigerator until ready to serve. I’ll take a maple cinnamon blueberry please! Great idea! 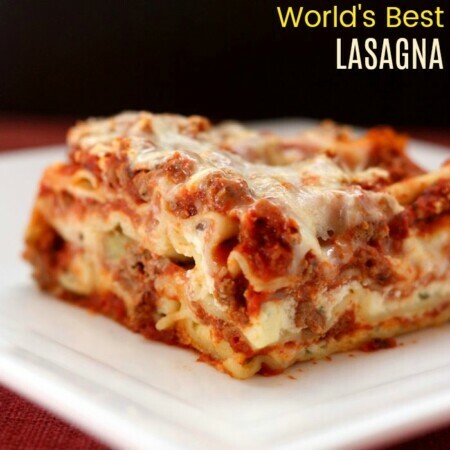 These all look so good! 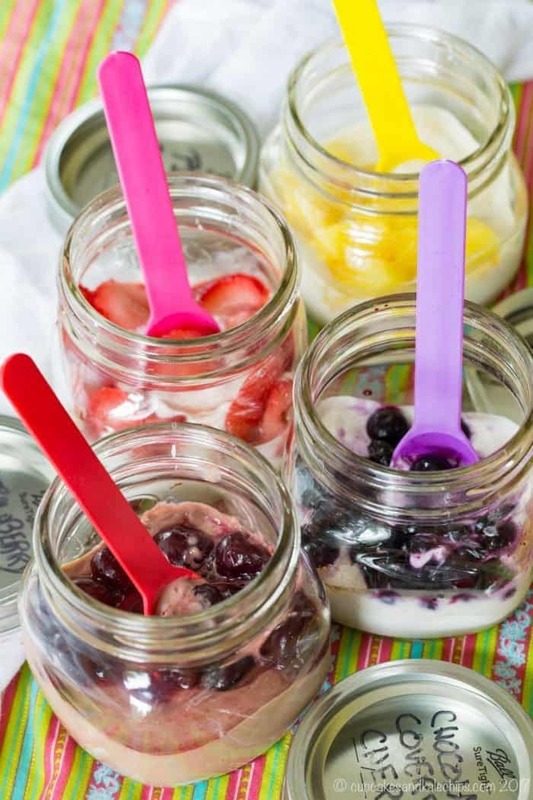 Frozen fruit is such a great way to add flavor to plain yogurt! Such a fun little trick – our kids would love this!! These snacks would be a huge hit in my house! I love the fruit and yogurt pairing.